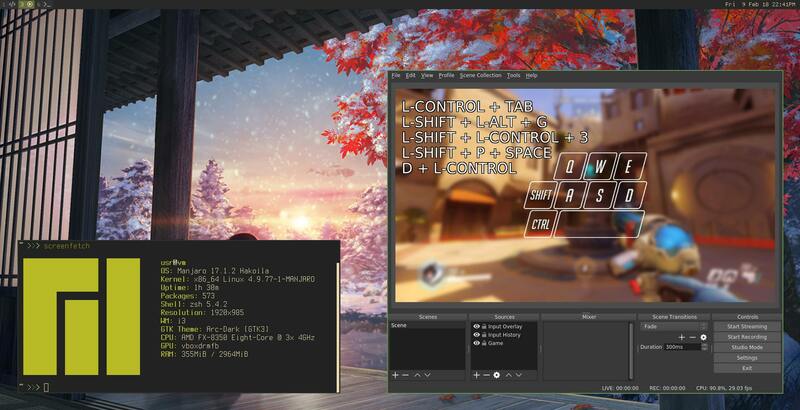 A small plugin for obs studio that shows keyboard, mouse and gamepad inputs on stream. since their API is completely different and I personally prefer OBS Studio. Since this plugin hooks into input do not open two instances of OBS, because it will result in stuttering input. If you do need two instances then only install the plugin on either 32bit or 64bit and open the second instance without the plugin. 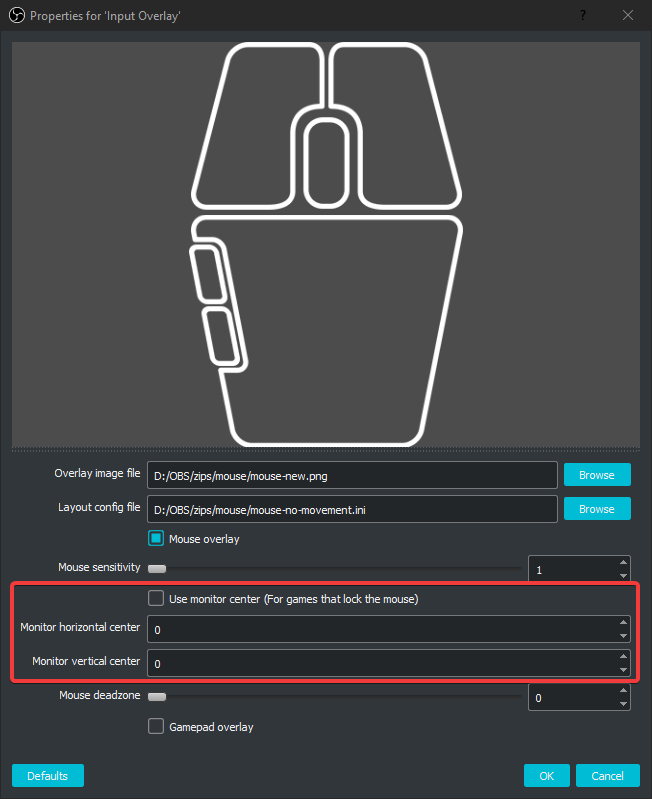 Spoiler: What is "Monitor horizontal/vertical center"? 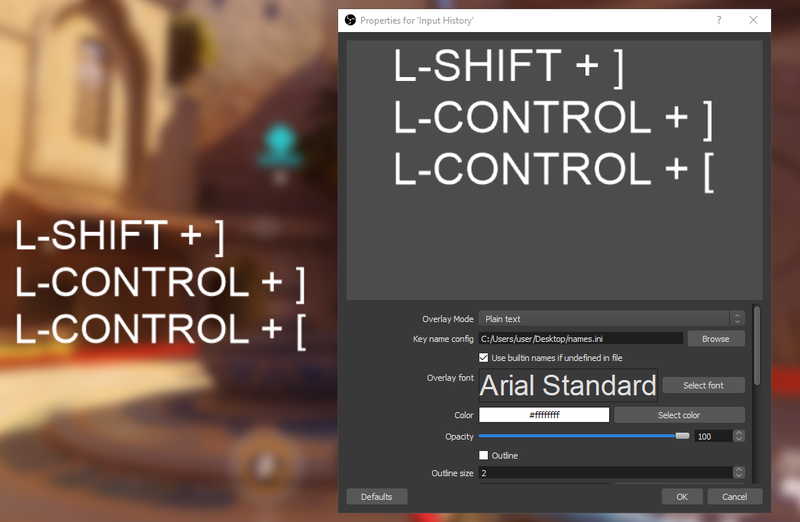 These values are used to let the plugin calculate the direction of your mouse movements. Here you'll find out what values you need to use for your game. 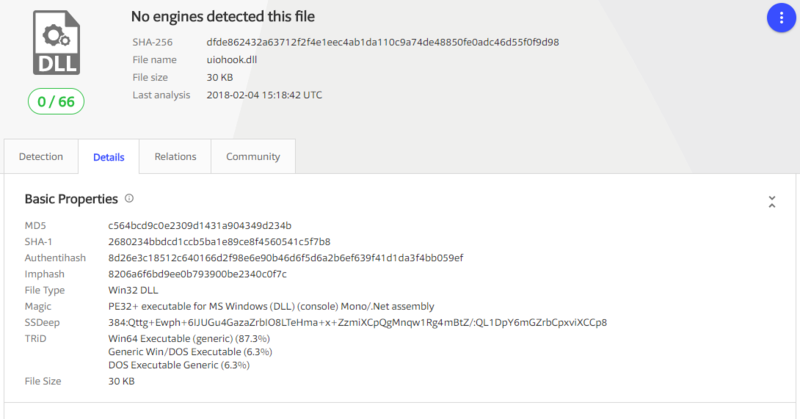 demo_hook.exe and demo_hook_async.exe are located inside the release zip archive under the folder "util"! Since v4.3 the plugin comes with a *.so file for OBS Studio on linux. I compiled and tested it on Manjaro. The installation instructions included are currently incorrect. 2. 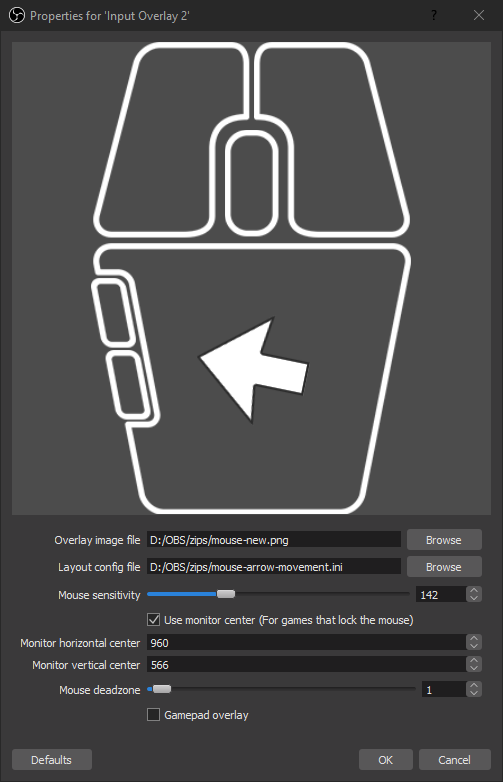 Create a folder called "input-overlay" in "/usr/share/obs/obs-plugins"
4. Copy the file "input-overlay.so" in "bin/64bit" into "/usr/lib/obs-plugins"
For Arch and its derivatives you can get libuiohook from the AUR. That if you're on a fresh installation of windows or you don't play any games there's a high chance that you don't have the Visual C++ 2015 Redistributable installed. 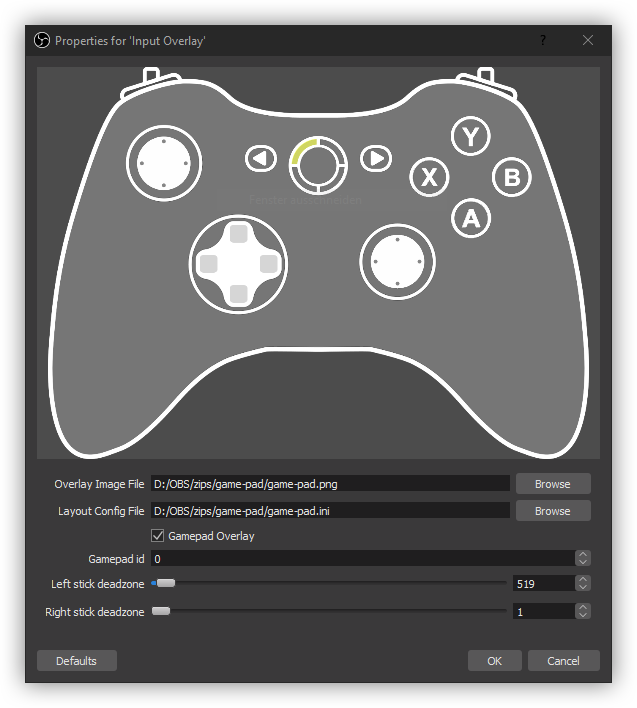 The plugin uses a texture and a config file to create the overlay. This means that you can configure which buttons are shown on screen, how they are arranged and how they look. 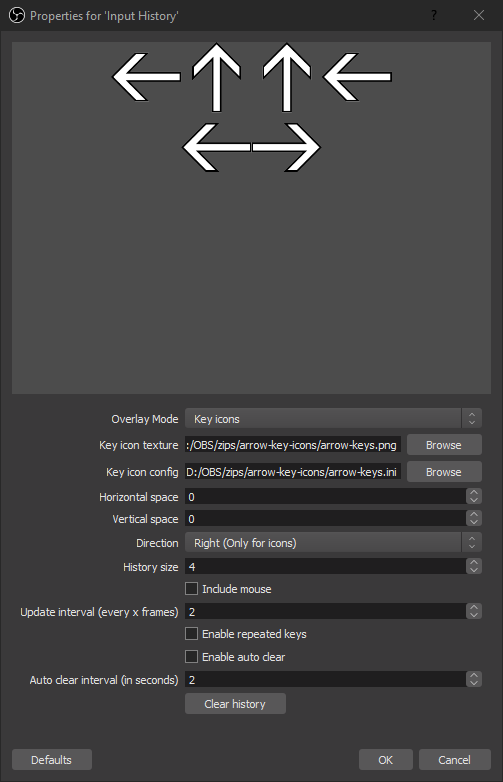 By default the plugin comes with presets for mouse, keyboard, gamepad and icons for the arrow keys. 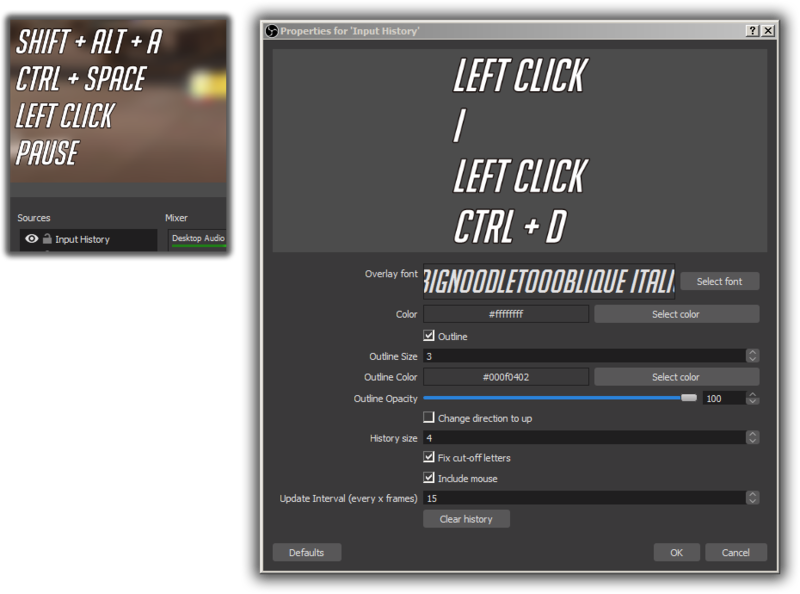 When creating an "Input Overlay" source in obs you can then point it to either the preset files or the ones you made yourself. Will it hit the corner? Great piece of plugin. Work flawlessly in my laptop. Thanks. Does the job and performs well. Thanks for this! Does more or less what it says on the tin, though setting it up and knowing where to put the image files and so on isn't mentioned in the "installation" instructions. One major problem/oversight, though, and the reason I'm rating it the way it is, is that the "Input History" overlay has several keyboard buttons that it doesn't register. Specifically, no punctuation marks show up when you press them. It looks like I'll have to find some external solution that runs outside of OBS. 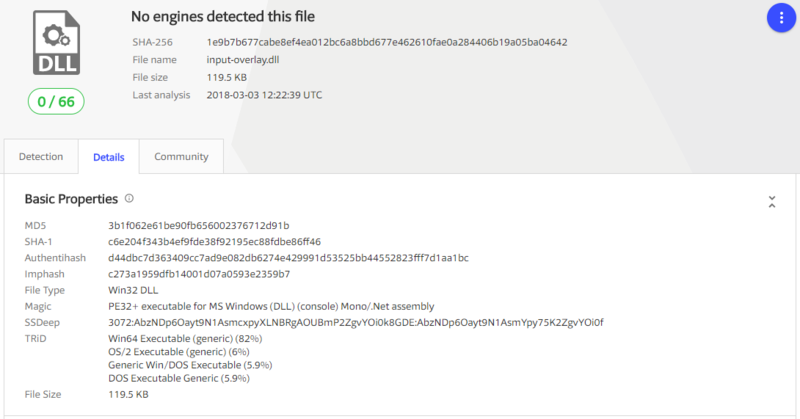 Keycodes can be obtained by running demo_hook_async.exe in the "util" folder. Which version are you using? As for creating your own overlays, did you watch the tutorial video? Really professional overlay, looks great and it's easy to configure for newcomers. Hi How to use in Streamlabs OBS ? I even shoot a guide - how to use it\install it\modify it. Creators thx for free, good, plugin.